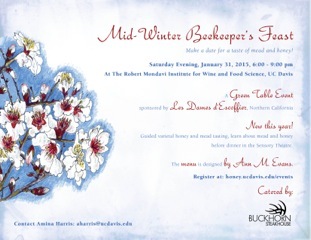 Join us for the second annual Mid-Winter Beekeeper's Feast featuring a menu designed by Ann M. Evans, and catered by the Buckhorn Steakhouse of Winters, CA. A varietal honey tasting will take place before the feast, led by Anima Harris, director of the Honey and Pollination Center. 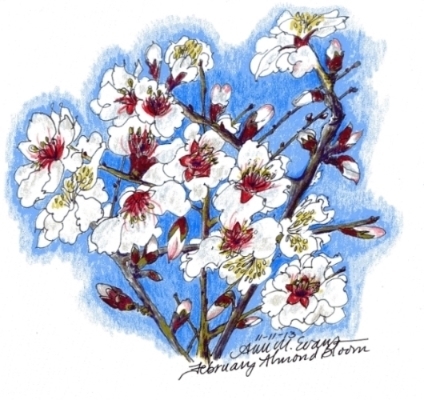 Admission is free, but seating is limited to 30 guests and registration is required.